On May 8th 2013 I was sent to Victoria for work. Luckly for me the site visit was shorter than expected and my return flight was late enough to give me time to check out a few breweries. 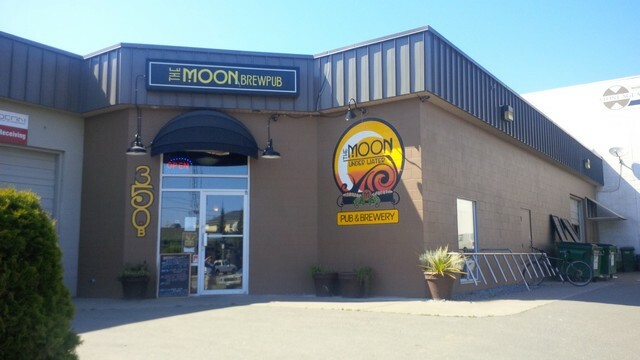 Having only really had beer from Moon Under Water Pub & Brewery from before they were bought out I really wanted to stop in and check out not only the brewery but also the beer they now produce! The fist thing that struck me with this brewery is that its in the middle of a warehouse district! This makes me optimistic that maybe there will be some like this in Metro Vancouver as I spend a ton of time in these kinds of areas for work! Upon walking in I was met by a very nice server and I struck up a conversation with her. 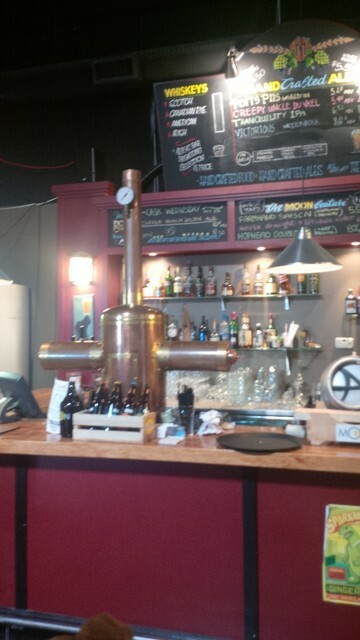 After a short talk she told me that the brew master was out but she could give me a quick look at the brew house! Being the beer nerd that I am I jumped at this opportunity. I wish I could have had more time looking around but she was the only server and could not leave the seats for all that long. 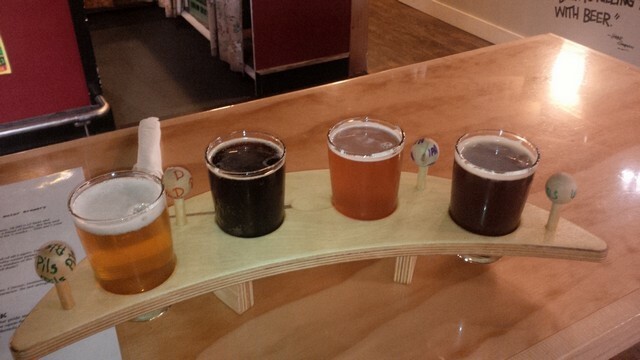 Once out of the brewery I sat down for a nice sampler pack of brews. I will be picking up these beers for a proper review in the future! 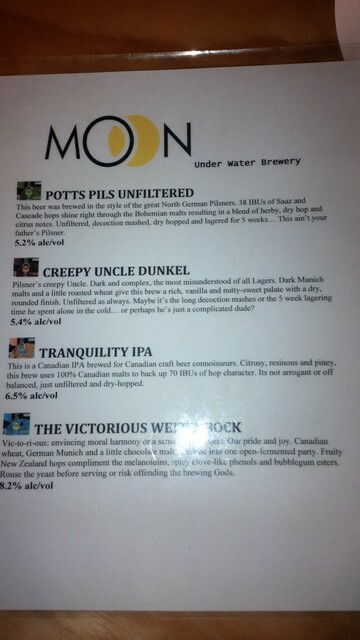 The sampler consisted of the Potts Pils Unfiltered, Creepy Uncle Dunkel, Tranquility IPA and the Victorious Weizenbock. 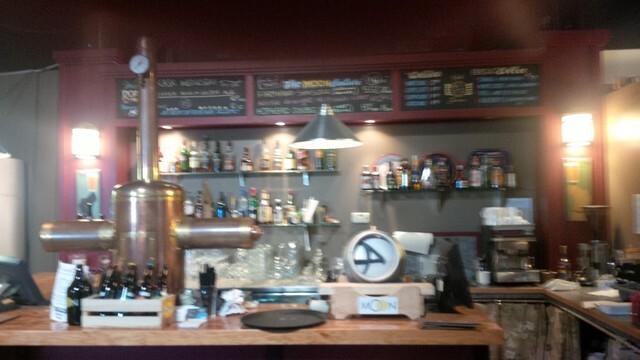 Here are a few photos of the pub itself. I hope to stop back in here sooner or later and sample the food on top of the wonderful beer! 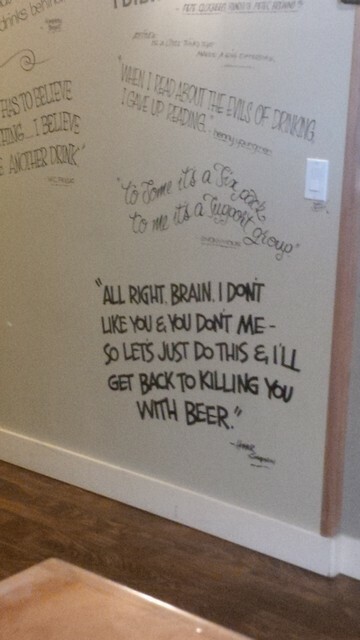 This entry was posted in Brew Pub, Brewery and tagged bc, beer, brew pub, brewery, brewery tour, brewing, canada, moon under water, victoria. haven’t been since the new owners came in but the beer sure has improved. The food used to lacking; has it improved as well? I didn’t try any food as I had had lunch at Swans just half hour before. All the food passing me looked good and smelled great though.